Cursed by her dragon ancestor, Sage is at the root of a burgeoning prophecy that threatens her sisters. The only way to protect them is to leave Winter Harbor, Maine, and travel back in time to tenth century Scandinavia. 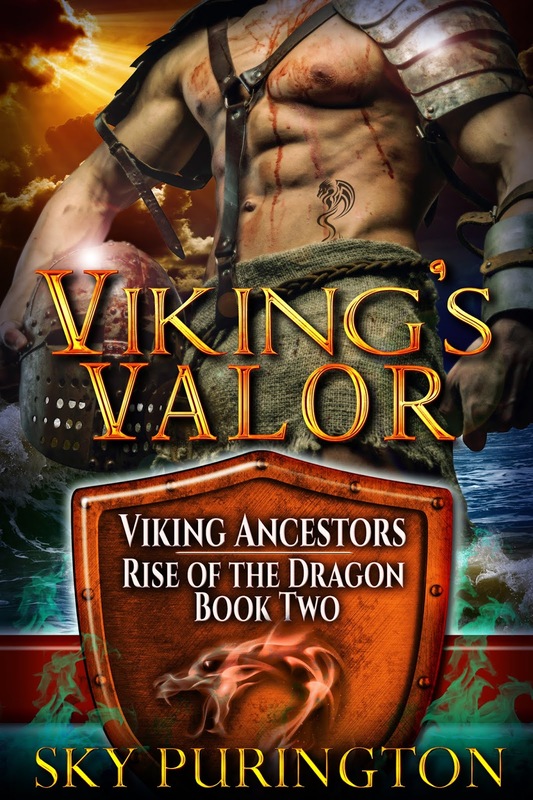 To travel back to Håkon and Leif, the men she left behind. Two warriors pitted against each other to win her over so they might strengthen their position in an ongoing war. Yet when she arrives, she’s captured by someone else entirely. 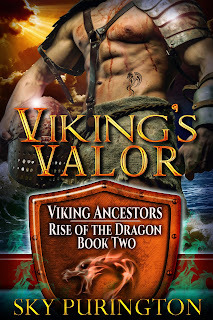 Set to annihilate his nemesis before he wreaks havoc and claims Sage as his own, Viking Håkon Sigdir pursues Leif. Until Sage is taken by Magnus of the Årud tribe. It then becomes a race to see who can save her first from the enemy’s rogue ally. A race that turns into a battle of wills as their rivalry for Sage intensifies. Sparks fly as an age-old vendetta ignites a love triangle that threatens not just the fate of Håkon’s people but his very heart. Will Sage ultimately choose him or Leif? Will she see past the dark enchantment affiliated with her ancestor's prophecy and realize who is destined for her? Better yet, will she see clearly the evil imposter? Because if she falls for Leif’s mock heroism rather than Håkon’s genuine valor, the war will be lost. dare lie with her now that he knew how easily Leif could take over his body. The very idea made his inner dragon rear up in territorial rage. trying to tell him she had not let Leif get to her, he knew better. shook her head. “What happened back there was my body’s response to your body. aggressive with the inherent need to claim her. Sky Purington is the bestselling author of forty novels and novellas. A New Englander born and bred who recently moved to Virginia, Sky was raised hearing stories of folklore, myth, and legend. When combined with a love for history, romance, and time-travel, elements from the stories of her youth found release in her books.